Sign Up and Earn $25! Buy Coins to JPY! Earn $25! Buy Coins! 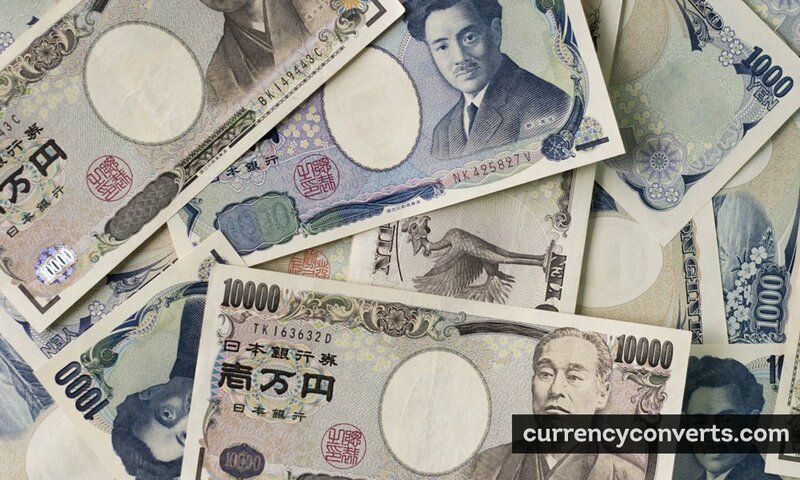 With the help you can convert Japanese Yen to any currency of any country in the world. To convert a sum in JPY to another currency and find out the current exchange rate – use the form below please. ● If you want to link to this Japanese Yen page, please use the codes provided below! The page provides information about the currency Japanese Yen in the form of a table with currency codes and the table with the current exchange rate to other currencies of the world. Japanese Yen exchange rates and JPY currency conversion with major currencies. 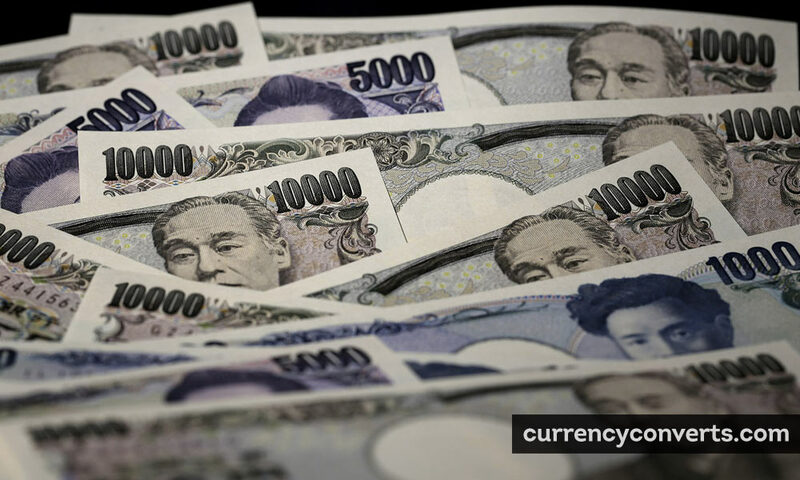 Main attention is drawn to JPY exchange rate Japanese Yen and currency converter. First table lists exchange rates of the most popular currencies to Japanese Yen (JPY). Second table presents all possible exchange rates to Japanese Yen (JPY). The Japanese Yen is the currency of Japan (Japan). The currency code for Japanese Yen is JPY and the currency symbol is ¥. Which countries using Japanese Yen [JPY]? Which capitals using Japanese Yen [JPY]? The yen (Japanese: 円, Hepburn: en, symbol: ¥; code: JPY; also abbreviated as JP¥) is the official currency of Japan. It is the third most traded currency in the foreign exchange market after the United States dollar and the euro. It is also widely used as a reserve currency after the U.S. dollar, the euro, and the pound sterling. The concept of the yen was a component of the Meiji government's modernization program of Japan's economy; which postulated the pursuit of a uniform currency throughout the country modeled after the European decimal currency system. Before the Meiji Restoration, Japan's feudal fiefs all issued their own money, hansatsu, in an array of incompatible denominations. The New Currency Act of 1871 did away with these and established the yen, which was defined as 1.5 g (0.048 troy ounces) of gold, or 24.26 g (0.780 troy ounces) of silver, as the new decimal currency. The former han (fiefs) became prefectures and their mints private chartered banks, which initially retained the right to print money. To bring an end to this situation the Bank of Japan was founded in 1882 and given a monopoly on controlling the money supply.Following World War II the yen lost much of its prewar value. To stabilize the Japanese economy the exchange rate of the yen was fixed at ¥360 per $1 as part of the Bretton Woods system. When that system was abandoned in 1971, the yen became undervalued and was allowed to float. The yen had appreciated to a peak of ¥271 per $1 in 1973, then underwent periods of depreciation and appreciation due to the 1973 oil crisis, arriving at a value of ¥227 per $1 by 1980. Since 1973, the Japanese government has maintained a policy of currency intervention, and the yen is therefore under a "dirty float" regime. This intervention continues to this day. The Japanese government focuses on a competitive export market, and tries to ensure a low yen value through a trade surplus. The Plaza Accord of 1985 temporarily changed this situation from its average of ¥239 per US$1 in 1985 to ¥128 in 1988 and led to a peak value of ¥80 against the U.S. dollar in 1995, effectively increasing the value of Japan’s GDP to almost that of the United States. Since that time, however, the yen has greatly decreased in value. The Bank of Japan maintains a policy of zero to near-zero interest rates and the Japanese government has previously had a strict anti-inflation policy. With currencyconverts.com you can convert Japanese Yen (¥) to any other foreign currency. To convert a certain amount of Japanese Yen use currency converter. This page provides a free online information about currency conversion or exchange rates for world fiat currencies. Exchange rates for Japanese Yen is calculated from mid-market real price and updates daily. 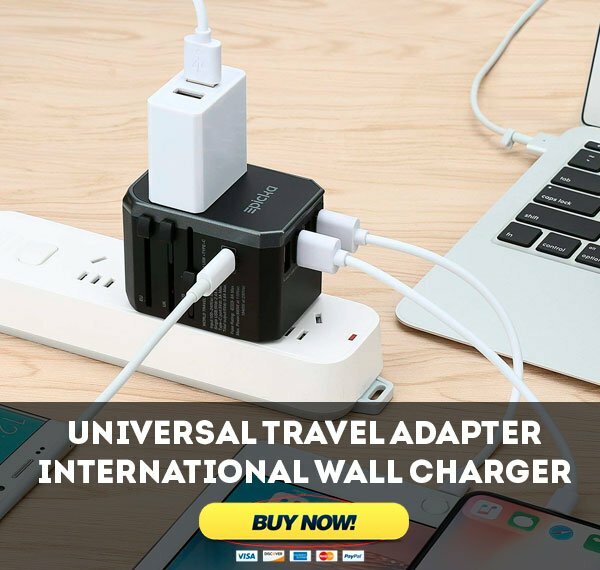 Usually people search for JPY exchange rate before business travel to Japan, Zimbabwe, or during trip to other countries and want to check rate of Japanese Yen in local money. 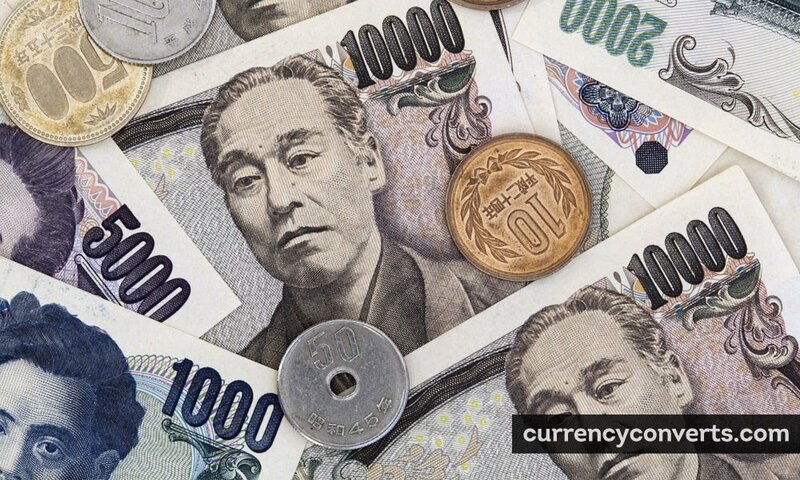 On this page you can convert Japanese Yen to main foreign currencies, get fast access to most used amounts of JPY or aether calculate any amount of Japanese Yen in other fiat money.